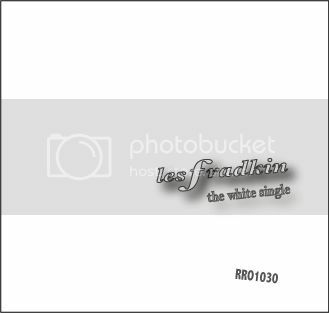 For Beatles fans, A special limited edition 5 song EP called "The White Single" 5 instrumental versions of White Album songs: featuring the Starr Labs Ztar and my Fender "Rocky" Stratocaster. "Pepper Front To Back." 14 Guitar Instrumentals. The entire Sgt. Pepper's Lonely Hearts Club Band album PLUS "All You Need Is Love" PLUS a special hidden track. All in time for the 40th Anniversary of The Summer Of Love and the 30th Anniversary of the opening of Beatlemania on Broadway. What's different here? A new sound for the guitar, courtesy of Les' Roland VG-8 V-Guitar, Roland GR33 and GR-1 Guitar Synthesizers and heavily modified Fender "Rocky" Stratocaster. The Beatles, George Martin and Giles Martin started a mash up of Beatles tracks for The Cirque du Soleil and Love albums. Les takes things one step further with a virtual mash-up of guitar technology resulting in guitar sounds never heard before and sonic possibilities only dreamed of till now. "Guitar Revolution", it's 11 Beatles guitar instrumentals- a worthy follow up to "Pepper Front To Back" and "While My Guitar Only Plays." From Classic Rock sounds to neo-classic surf guitar textures, "Guitar Revolution" delivers! Tracks: 1. Revolution (45 Version) 2. Jet 3. Live And Let Die 4. Within You Without You (Surf Version) 5. I'll Be Back (Surf Version) 6. Free As A Bird 7. Ever Present Past 8. Dance Tonight 9. I Am The Walrus 10. Imagine 11. Rockestra Theme Available Now! !